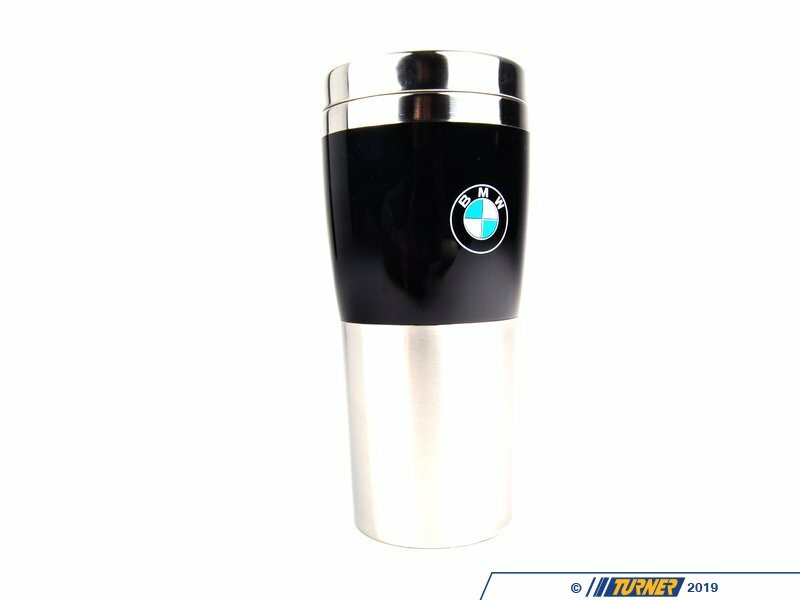 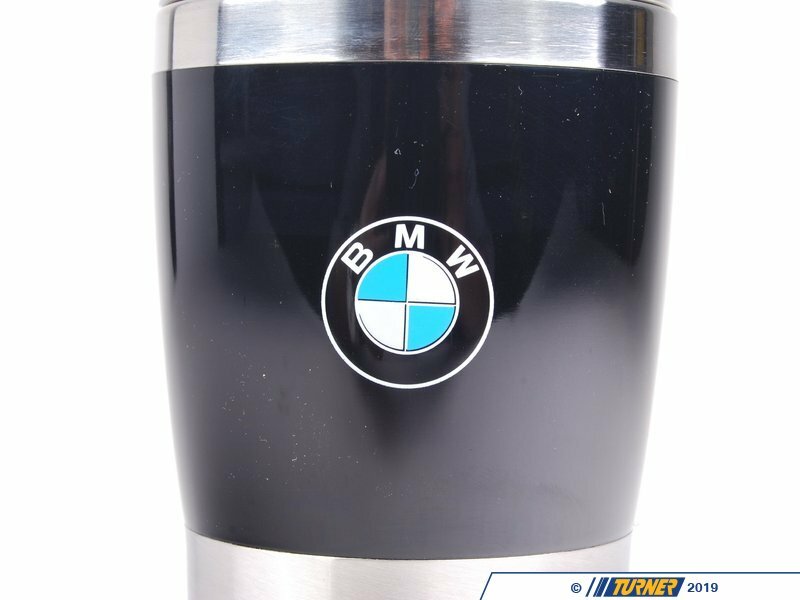 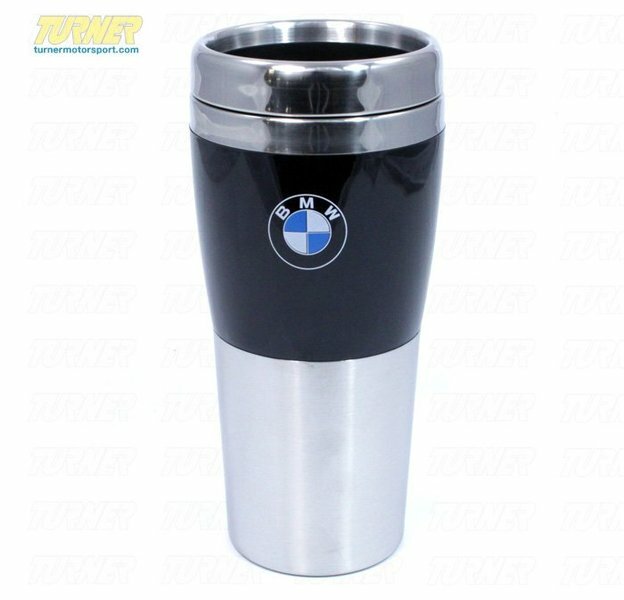 Insulated travel mug with Roundel logo: 18 oz. 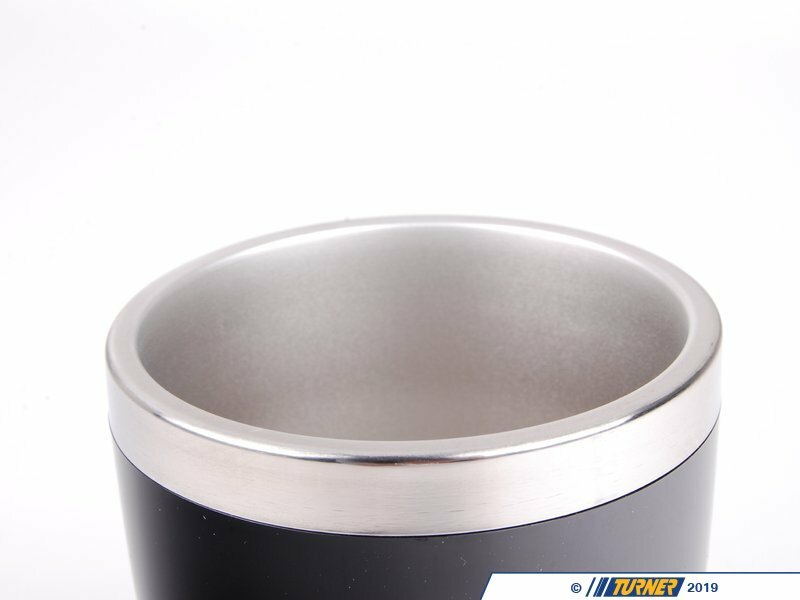 Silver with Black. 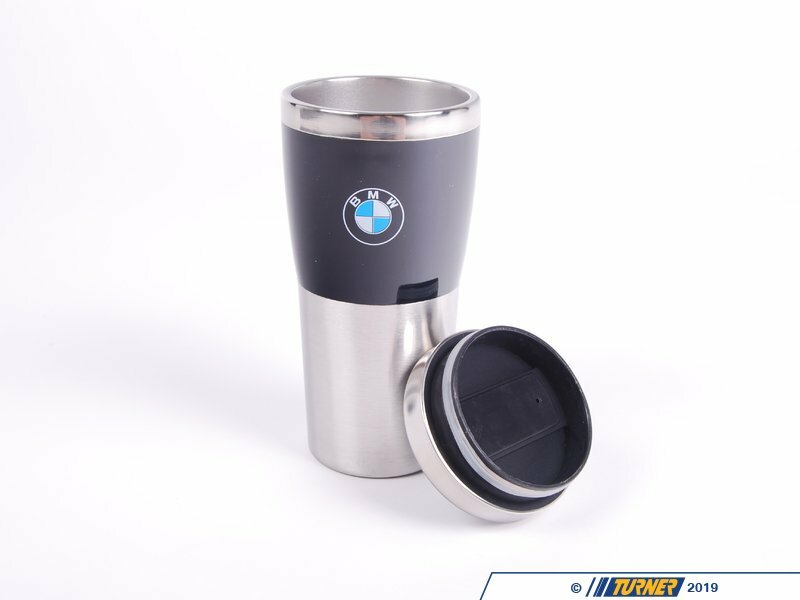 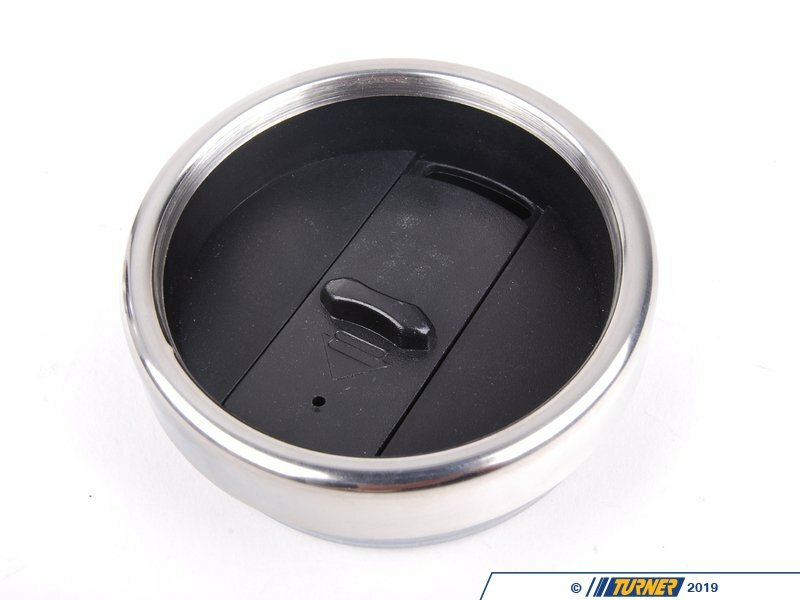 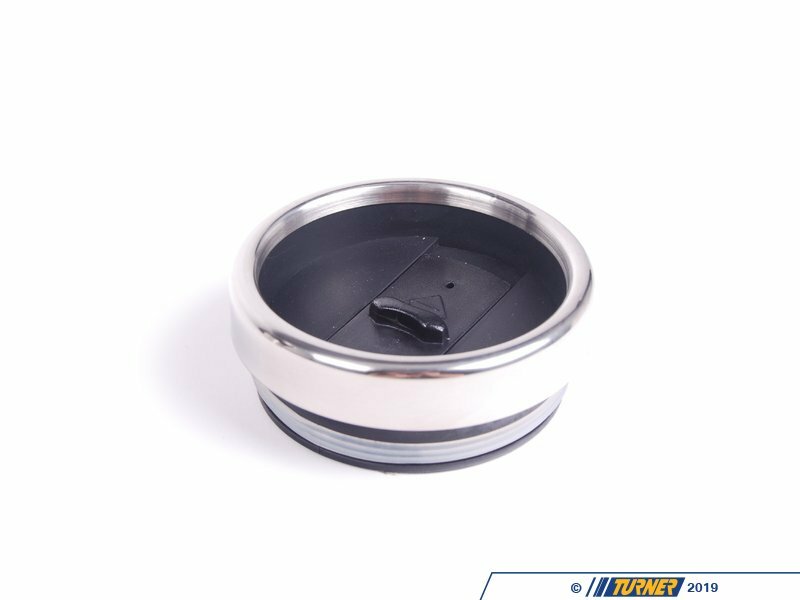 This stainless steel mug features a slide-lock top for no spill refreshment. 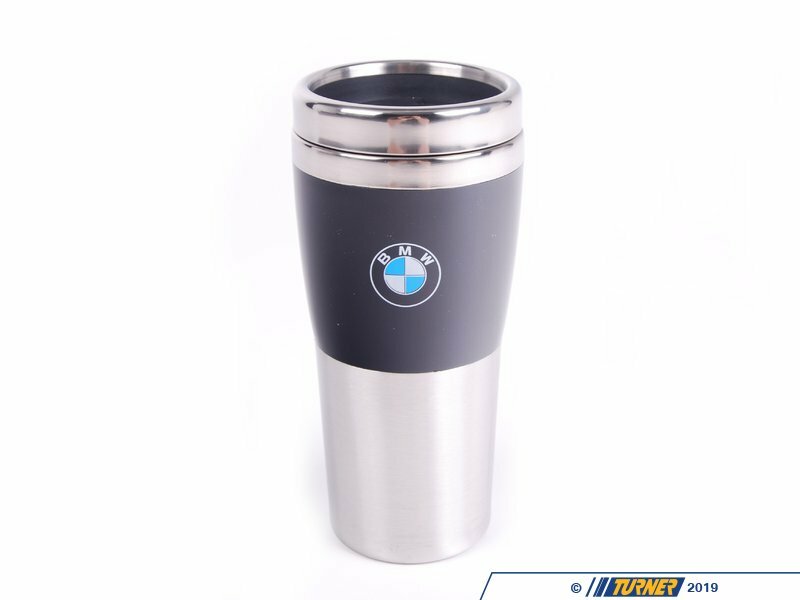 Insulated tumbler features press-on lid with sliding open/close mechanism for easy drinking. 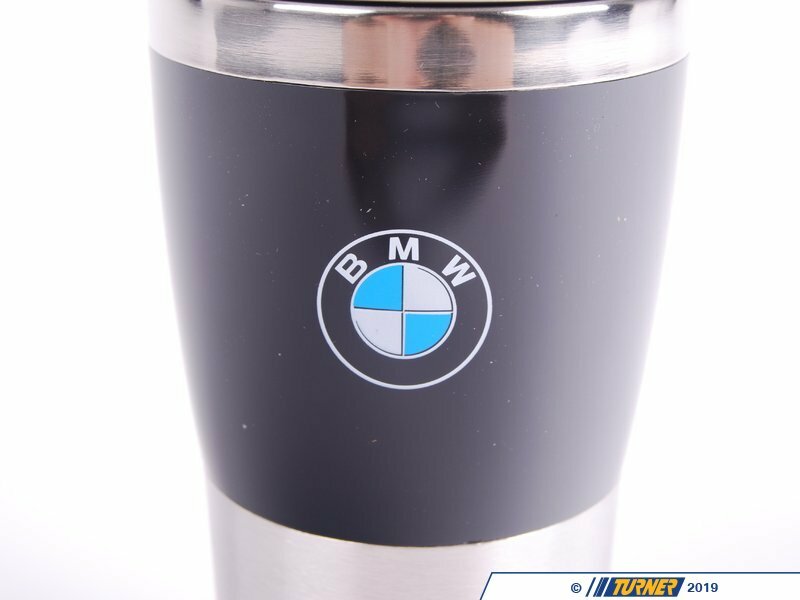 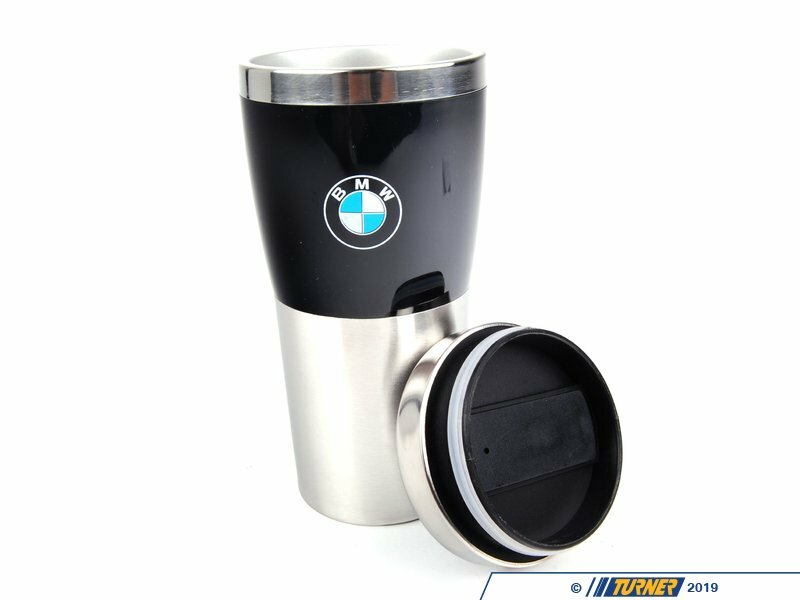 Fits all BMW models.